Description: With the launch of the Vintage series we incorporate a new product concept to our collection Wood Emotions. It is a petrified Wood present in the market since the early 30s of last century. It has an attractive crossbreeding, where you can visualise all kinds of fossilized nuances. The wood inlay stone gives it a suggestive identity; it has a light relief that fits very well with the graphics and a healthy balanced design. 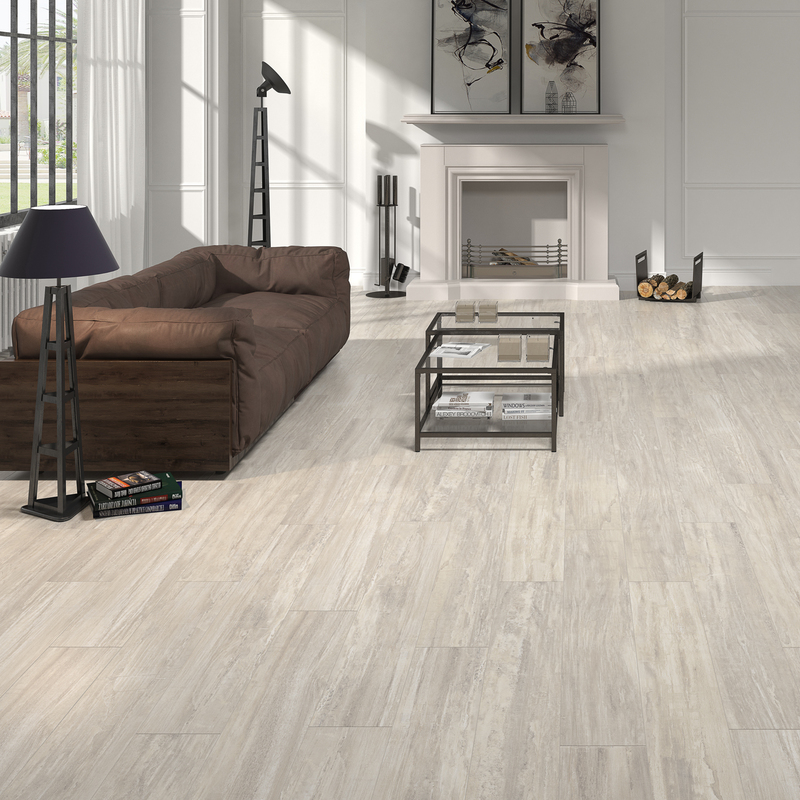 We present the series in the 20×120 rectified porcelain format and in several colours: Blanco, Crema and Marrón.